I was looking through my stuff and came across this pic I picked off the internet somewhere. It's labeled "young Berry", but somehow doesn't look old enough to be Raymond Berry Oakley. What do you think ? BTW, look at the size of those hands ! 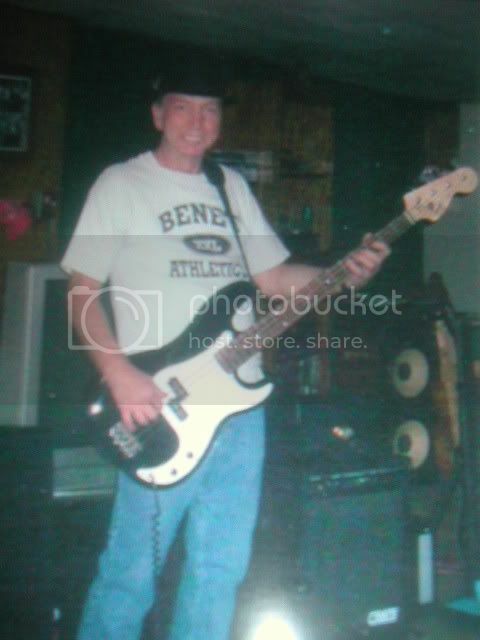 hey steve, the post of the picture on the the bro's website is jerry kokas. 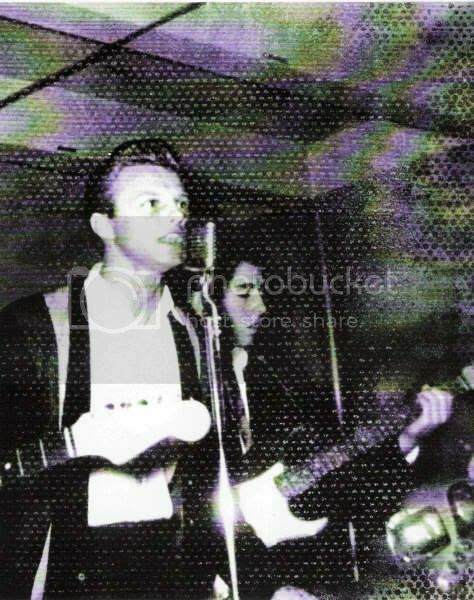 jerry was the bassist in the vibratones with berry as was ron sadus on drums. that was bob guziejka's band. pronounced (ga-j-ka) i saw your tribute on youtube. A couple of more questions come up. One person pointed out the grey framed object in the back round of the picture I posted and said it looked like a more modern TV set. Do you know what it might be ? Also, if Jerry Kokas was playing bass in the Vibratones, what was Berry playing ? It would be interesting to know if he was playing guitar at that point.